This is Istanbul 1913. 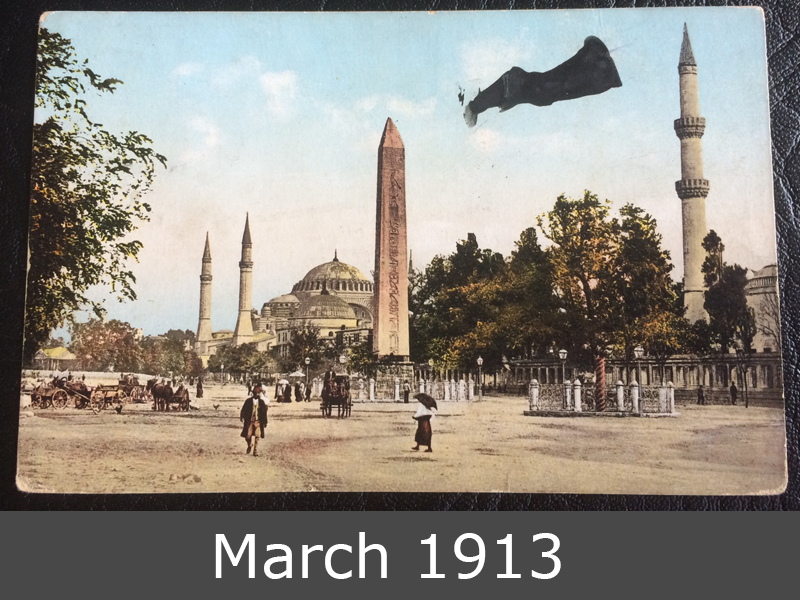 On the postcard is written “Constantinople”, not “Istanbul”. And the stamp is from Austria, with turkish currency “Para”. 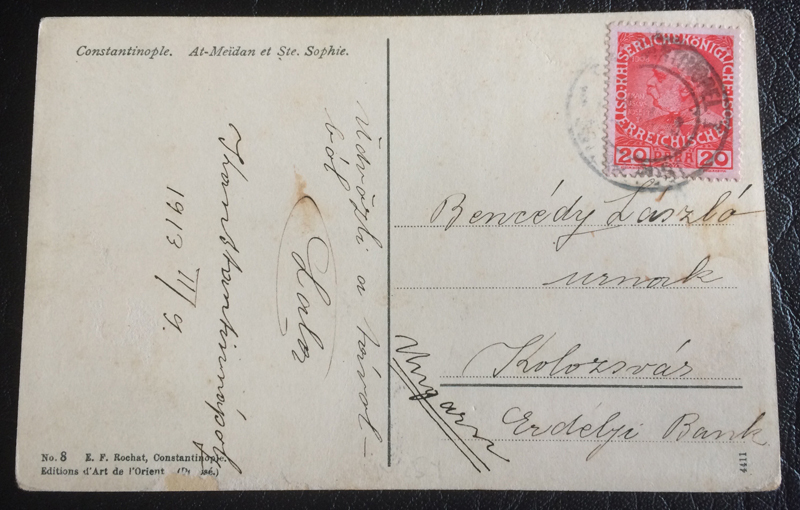 This postcard was send to Hungaria, part of the austrian empire till 1918.